1 Blue Rose in a vase with some foliage and fillers to accompany it. A truly beautiful rose for any occasion which can be delivered anywhere in the UK. 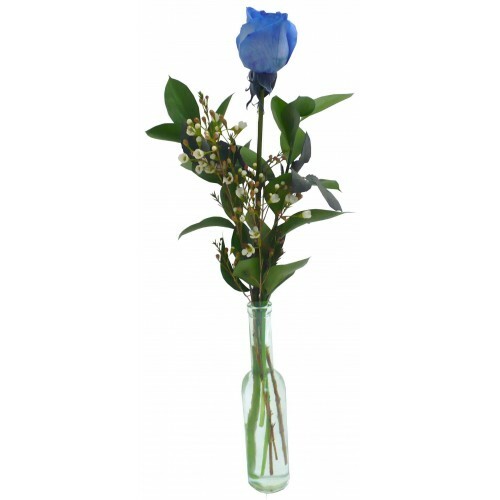 Send this blue rose in a vase for delivery today and we guarantee it will be hand selected by our florist and checked for freshness and quality before being dispatched.